We've written before about how the first recorded recipe for the pork pie was in King Richard II's kitchen back in 1390. The original intention of the pork pie was a logical way to preserve the meat for longer; they didn't have fridges to chill the pork so they used different methods of preserving such as salting curing or air drying. During this time, even the poor had a pig in their garden and so the dish was accessible for most to make. The hot water crust is made from boiling lard and salted water then tipping this into flour and, after mixing and molding, is filled with pie meat. Once cooked, this kept the meat fresh longer and ensured that if it was being transported, it stays in good condition. The Roman's also enjoyed pork pies and it's a popular fact they ate them with figs. 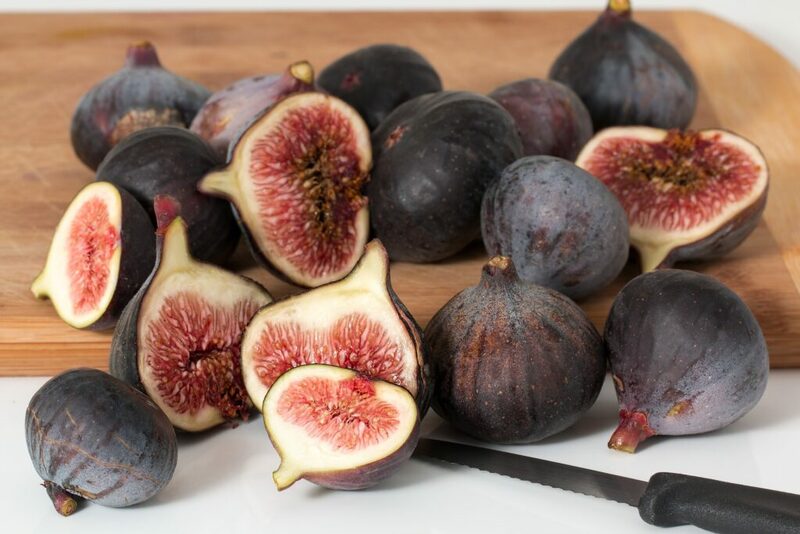 The fig adds a fruity sweetness that you might not associate with a pie these days, so we thought we'd put together a recipe for you that is a modern ode to the way the Romans ate a pork pie! Grab a jar, measuring jug or serving jug that you can mix your dressing together in and add in the vinegar, jam, olive oil and seasoning. Stir and then put in a pot next to the salad for everyone that will be eating the salad to enjoy however much they’d like. Eat your pork pie with your fig salad however you’d like – hot or cold! Flavour wise, to really let the fig stand out, go for a plain pork pie – mini, lattice, medium or large. So there you have it! An easy, fig based recipe that will go perfectly with a pork pie – especially refreshing now we’re (finally!) moving towards Spring and hopefully warmer months. The Romans had fig and pork pie meals, so this is more of a modern twist on this! Whilst today, we think of the pork pie as our perfectly uniform pies with that golden brown bake, it’s important to remember that when we speak of pork pies of centuries gone by, they weren’t necessarily like that. Clarified butter was also poured into the hole left at the top of the pie which turned solid when the pie was cooled and then acted to protect the meat inside from the air outside which kept it fresher for longer. We use jelly today as meat usually shrinks as it cools, so we want to both make sure it’s a full pie and to add more flavour, so a rich stock setting into a jelly is used. The Roman’s obviously had fabulous taste, so let us know what you think of our adaptation! They might have built the Colosseum, formed the basis of the calendar and shown us how to bind books – but no one bakes a pork pie like us here in Yorkshire!